Level 3 is now an Aveda salon. We are the first salon in the area to offer award winning Living Proof hair products. 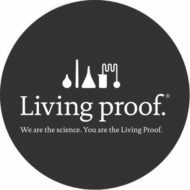 About Living Proof Living Proof was created with a simple ambition – challenge conventional wisdom to solve your toughest beauty problems. With our team of expert stylists and biotech scientists, beauty meets brilliant science. We invent and patent new molecules that completely change how hair behaves. For head turning, bliss creating, confidence boosting results. We stop at nothing short of products that keep their promise. And the only one who can prove it, is you. You are the living proof. At Moroccanoil®, our passion is empowering beautiful transformations. We started with the original Moroccanoil Treatment which revolutionized the haircare industry. We built our reputation on positive word of mouth from runways to salons to editorial spreads. Our antioxidant infused, nutrient rich, innovative formulas are unmatched and provide dramatic results. 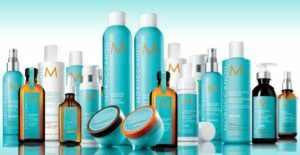 That is why salon-exclusive Moroccanoil® is preferred by professionals and consumers alike -- because our products simply work. We invite you to experience Moroccanoil® and discover the performance behind the headlines.